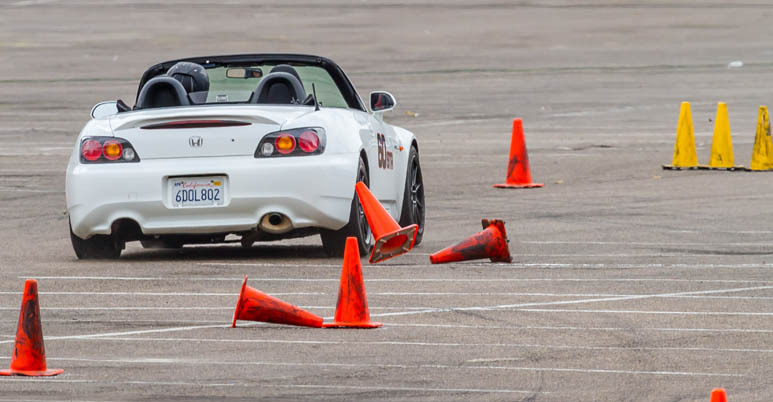 On April 6 &7, San Diego Region will host the first SCCA club race at Chuckwalla Valley Raceway. If you're not familiar with it, Chuckwalla is about 40 miles east of Indio. The raceway is a smooth, 16 turn, 2.68 mile course. Its great fun to drive, with elevation changes, a medium length front straight, and a banked bowl. The track's facilities have been much improved since it opened- it has permanent restrooms with showers, fuel, and shade. We are looking for San Diego Region drivers, workers, and members who want to come out and enjoy SDR's first racing weekend in years! Registration will be open on motorsportreg.com very soon. In the meantime, drivers can go to our region blog at www.sccagridlines.com to download the entry form and event schedule. If you would like to work at the event, email ron@c2racers.com with your specialty and any special requests. If you haven't worked at an SCCA race before, no worries! We'll get you set up with some training and a regional license. We look forward to a great event, and hope to see you all out there! Nice work SDR board. Long time coming. Hope there's some TimeTrial planning in the works. I sent you an email a while back letting you know that I'd be interested in helping. I'll send you another just to be sure you get it. This is really cool. I would love to participate and volunteer. Unfortunately I have 3 days of mandatory continuing education/re-certification that Friday, Saturday and Sunday. I'll also be missing the Porsche Club festival of Speed at ACS same weekend. I would do the Chuckwalla event if I could. Super fun track, nice owners and a great place to camp. I'll look forward to the next event. Best of luck for success! Registration on Motorsportreg.com is now open!! 'Go slow to go fast' they say'. Heh. Trust me...... when it comes down to the fast ones? They go fast to go fast. Heck of a deal! Real racing for about the cost of a regular track day! It's gonna be so much fun! Just incase anyone would like to split the lodging, I have a room at the Clarion Inn "official hotel" with two queen beds booked for the Friday and Saturday night. The rate is $99 per night (split that 50/50). This location is a 2 minute walk from the Fantasy Springs Casino. O no! The same weekend as the ProSolo! True, but typically minimal crossover. Ron is of course one of those exceptions but is already signed up for Chuckwalla! OK wifey. You gotta work the race too!